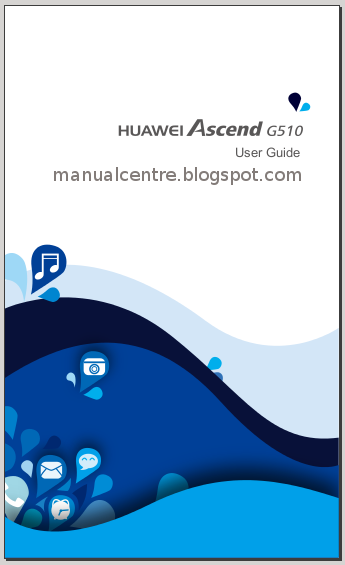 The Huawei Ascend G510 Manual or user guide is available now. For owner of this phone don't forget to download and read the manual. It's comes in pdf format and support in english language. The Huawei Ascend G510 is powered by 1.2 GHz Dual Core Processor and runs on Android 4.1 operating system. It has 4.5 Inch Display screen with 5 MP Camera. There is 512MB of RAM and 4GB On-Board Storage. This smartphone has physical dimensions of 123x67x9.9 mm with weight are 150 g. It's work on uder GSM and UMTS network. In addtion, the device also powered by 1750 MAh Battery capacity. Price of this phone: $244.22 (USD). The Huawei Ascend G510 user manual has 94 pages. It devided into 20 section with file size of 21.3 MB. The user guide provides detail reference information such as phone layout, tutorial how to Inserting a SIM card, Installing the microSD card, and Installing the battery. Then about instructions how to Locking and unlocking the screen, Changing the wallpaper, Setting the theme, Importing or exporting contacts, Using camera for taking photo, Connecting to a Wi-Fi network, Turning on Bluetooth, using maps, google talk, play store, youtube, gmail, Restoring to factory settings, Online update, and more.